Happy Halloween!! 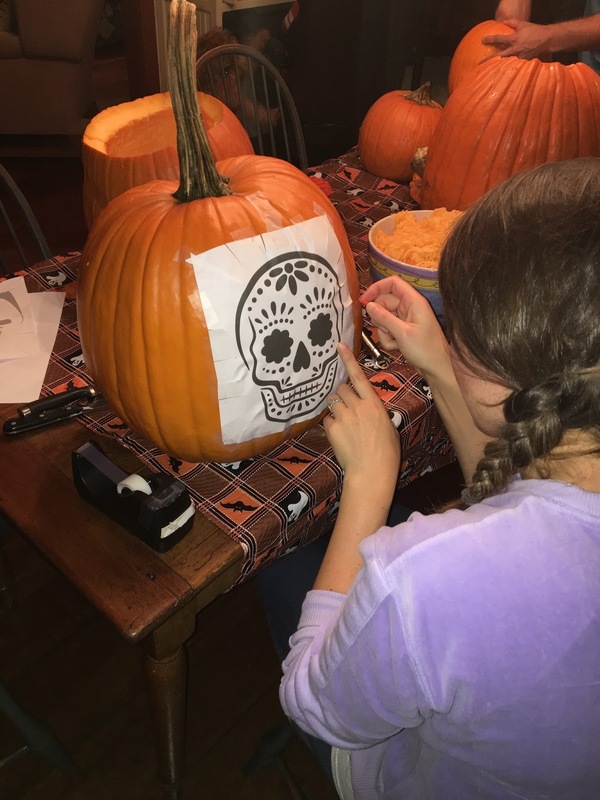 Today was a fantastic day full of tricks, treats and all sorts of classic family festivities. Hope you all had a fun and safe holiday as well! 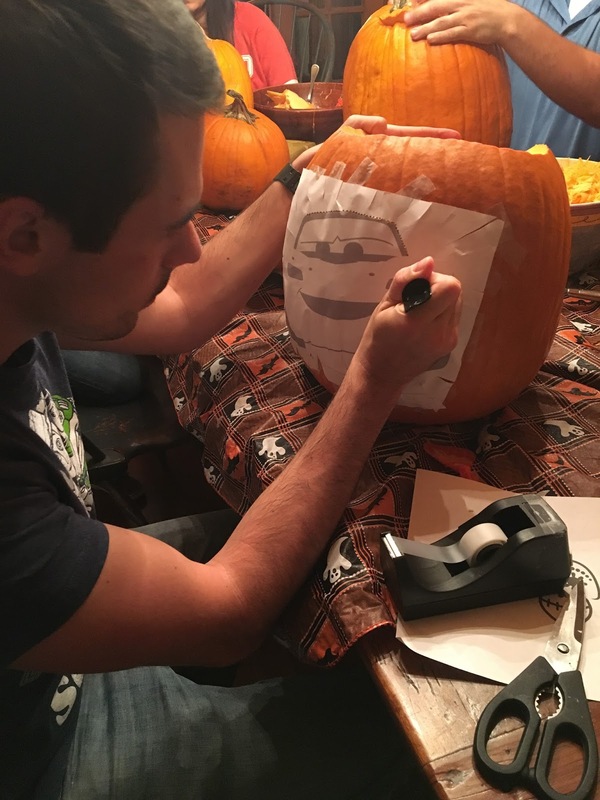 Last night, my wife Brita and I continued our tradition of carving Pixar themed Jack-o'-lanterns. This is our fifth year in a row doing so! 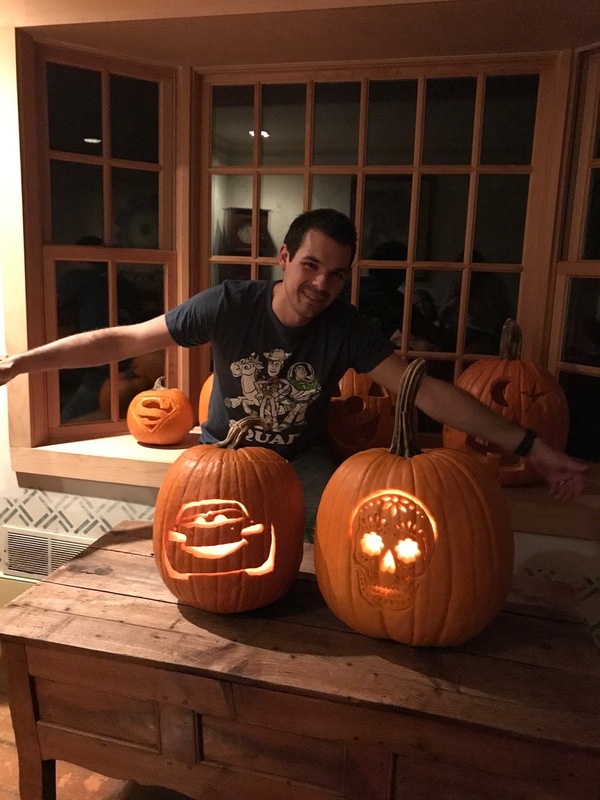 We started carving Pixar character pumpkins in 2013, the year I started this blog, and have done them every Halloween since. If you haven't yet, check out the ones we did in 2013, 2014 2015 and 2016. 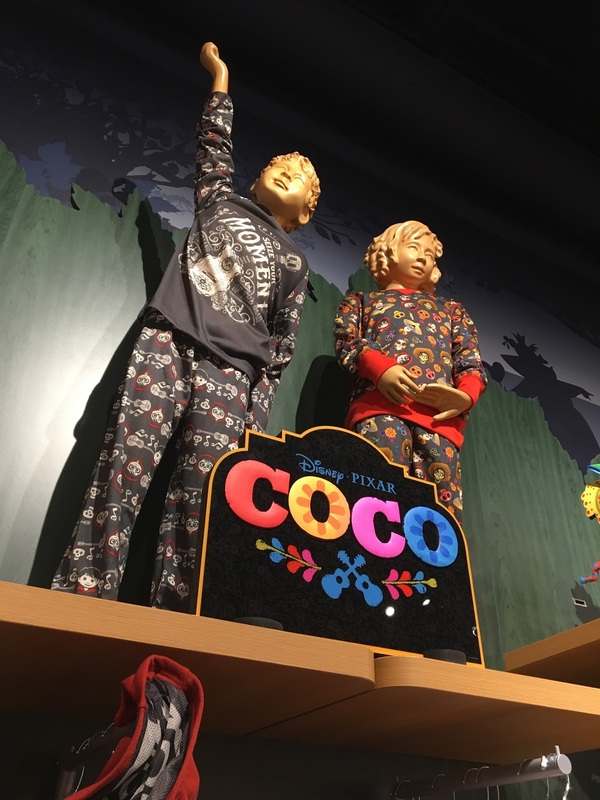 This year's designs were inspired by both of Pixar's theatrical releases— Cars 3 and Coco! 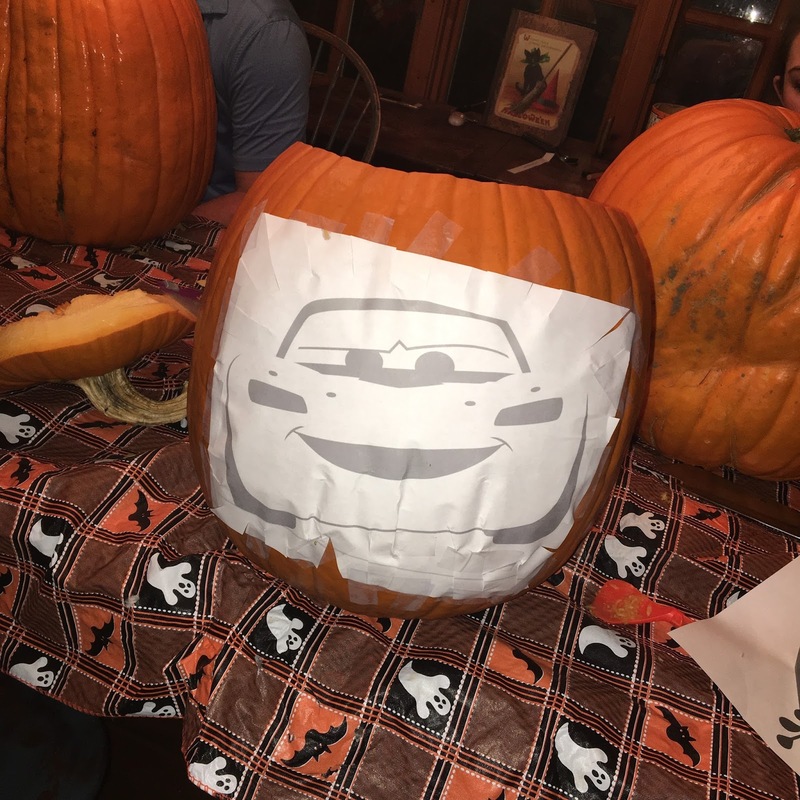 I did Lightning McQueen (that's about as complicated as it gets for me. 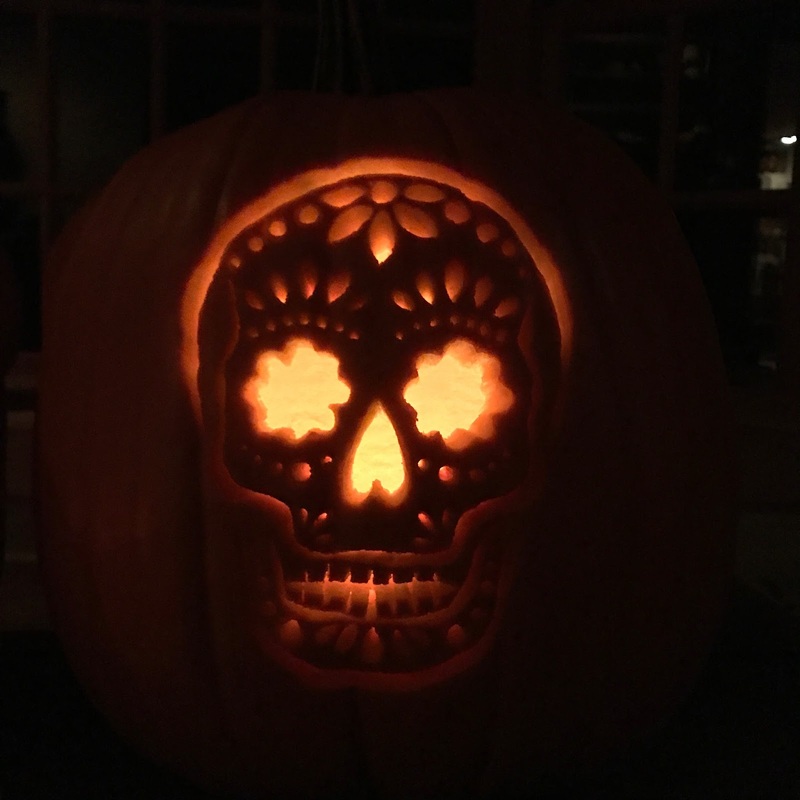 I'm not a very good pumpkin carver, but I'm happy with how this one turned out) and Brita did an intricate Mexican sugar skull in celebration of Coco and the official beginning of Día de los Muertos today. 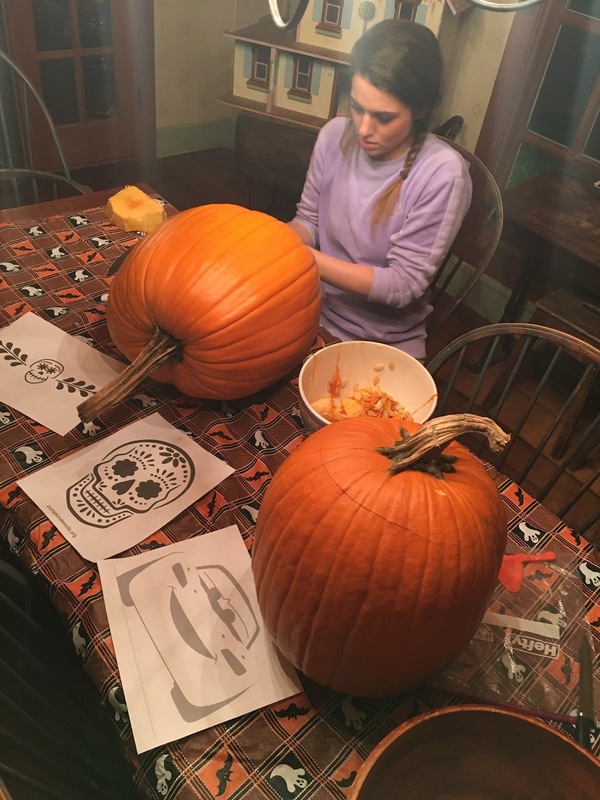 This is for sure Brita's most complex and detailed carving yet and I'm always so impressed with how she takes her skills to the next level year after year. She loves the challenge! 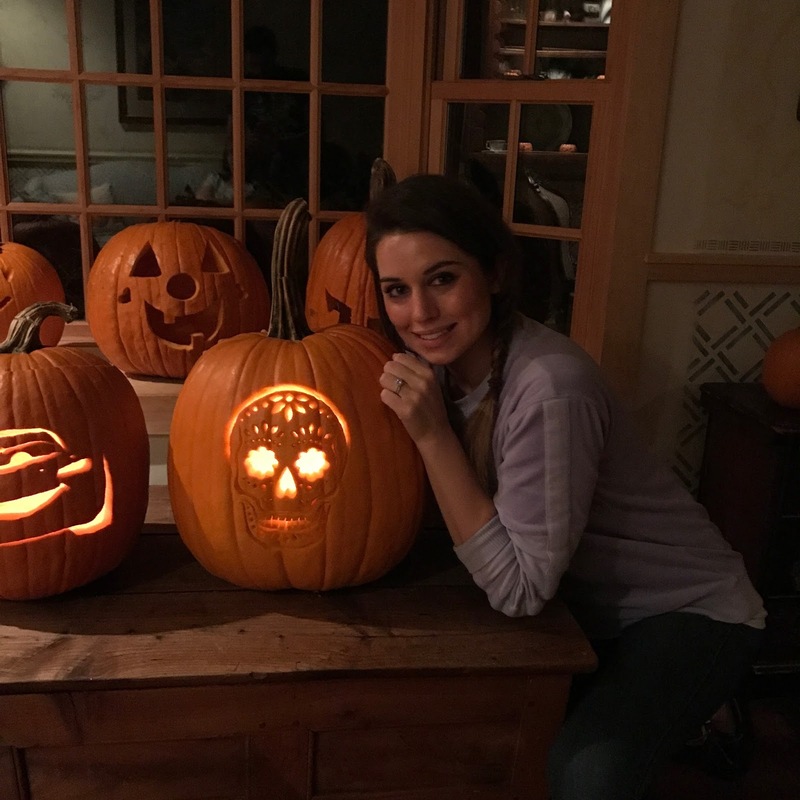 Check out our completed pumpkins below! 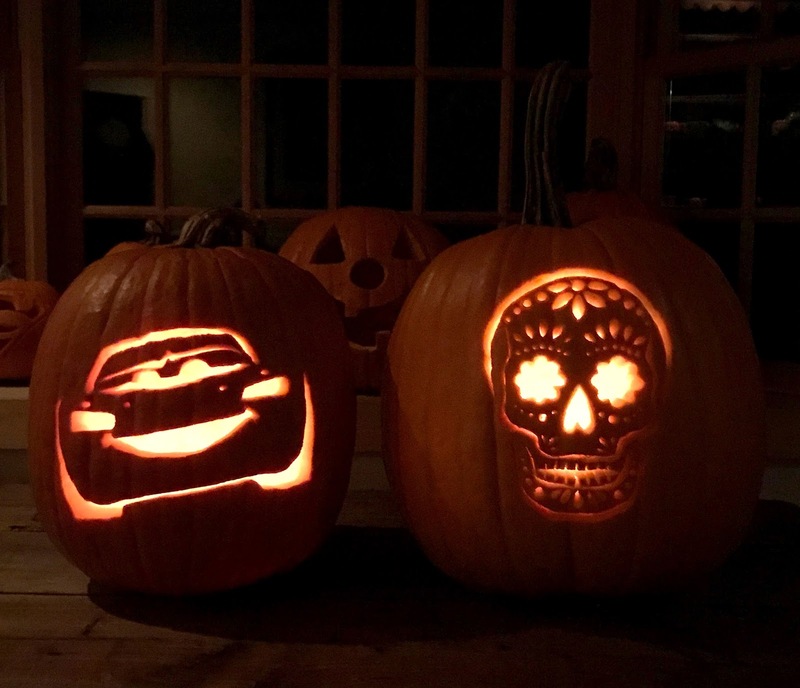 You can find the carving template we used for the sugar skull HERE and the Lightning McQueen template HERE. 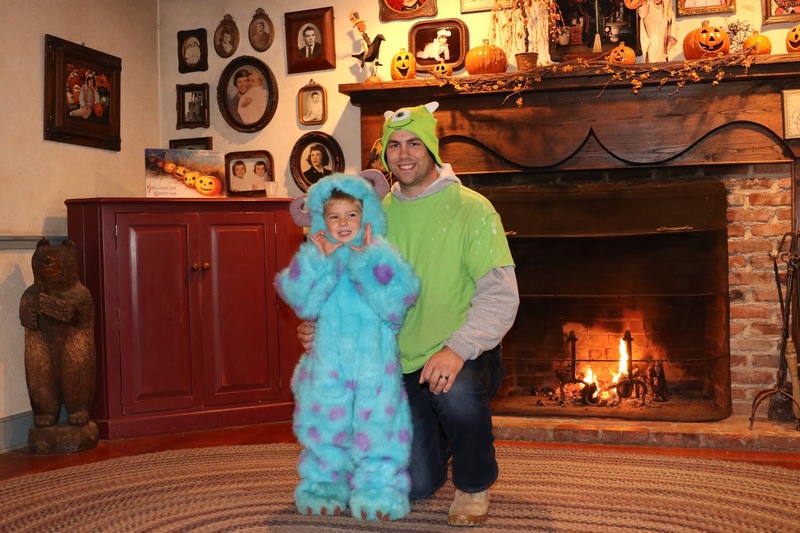 I also have to give a shout out to my little Pixar buddy (my nephew Noah) for his adorable Sulley costume tonight! Here he is with my brother in-law Craig as the one and only Mike Wazowski. 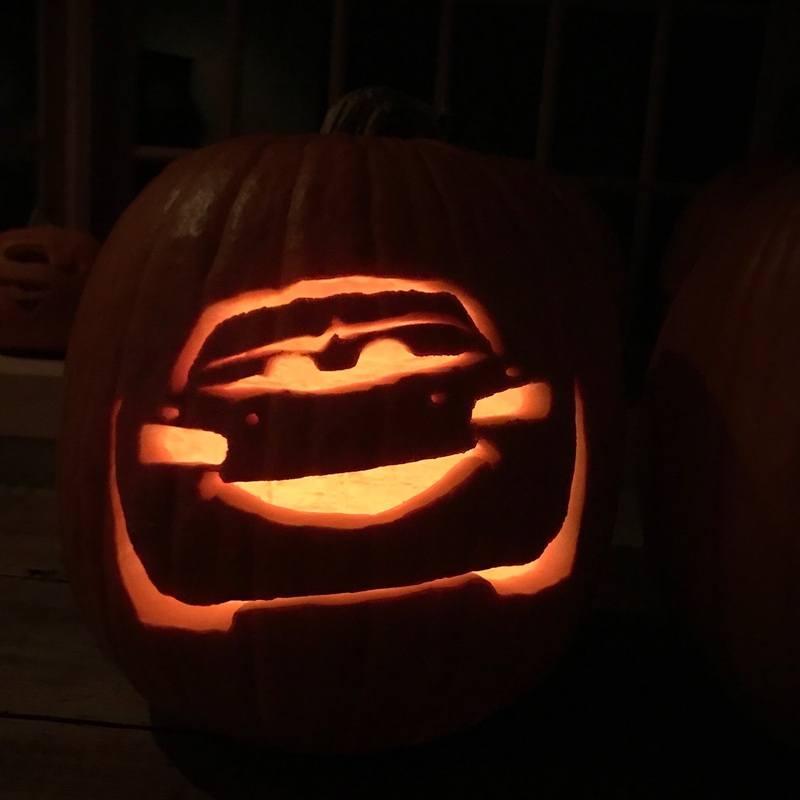 Let me know you thoughts in the comments below and be sure to share your Disney·Pixar themed pumpkins as well! I would love to see your creations. As you know, loads of books accompany the release of every Pixar film and sometimes it can get overwhelming. Which ones do I go for? For me, it helps to start with the old tried and true staples that you can always count on: The "Art of" book, the Big and Little Golden books, the sticker/coloring books and The Essential Guide. 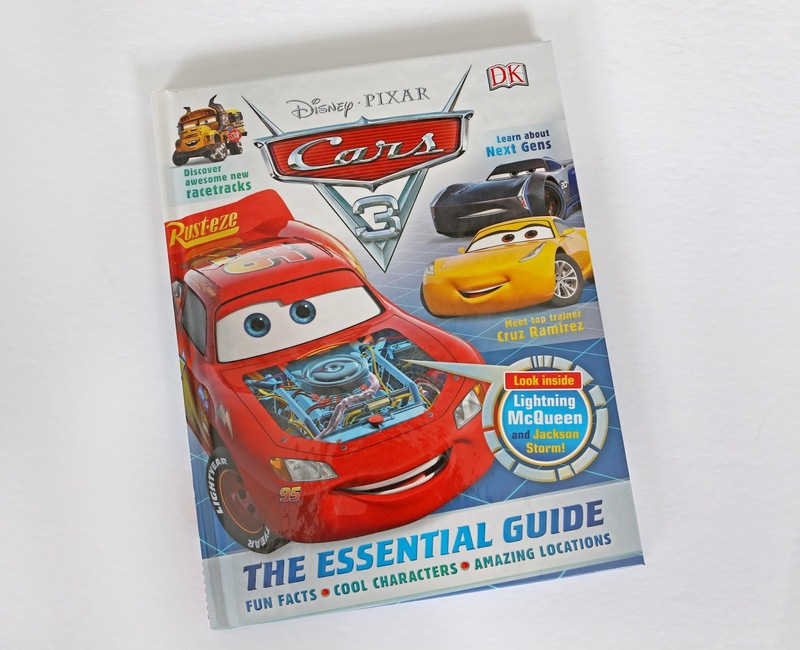 I've been collecting the Pixar Essential Guides (by DK Publishing) for many years, so I knew long before this Cars 3 edition was technically even announced that I would be snagging it (and I'll be doing the same for Coco, The Incredibles 2, Toy Story 4 and many more down the road. See what I mean?). 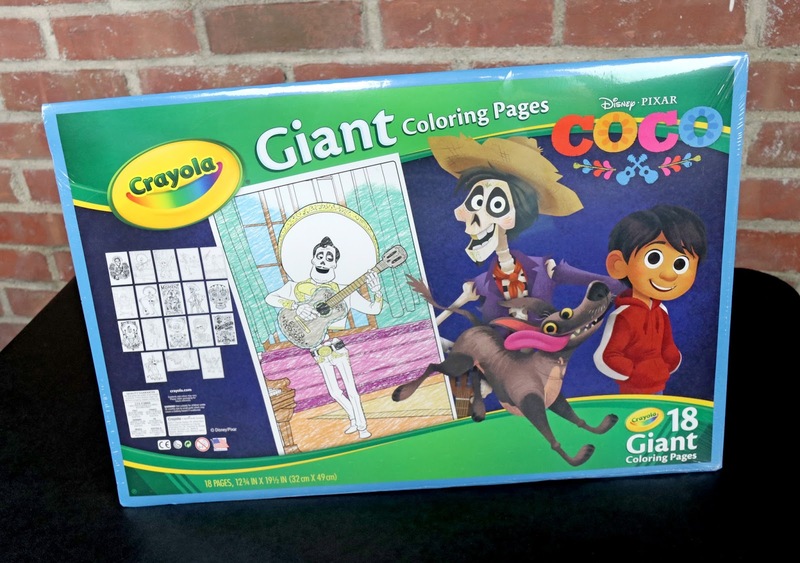 Let's dive into this one and take a peek inside! If you're unfamiliar with this ongoing series, here's the scoop. 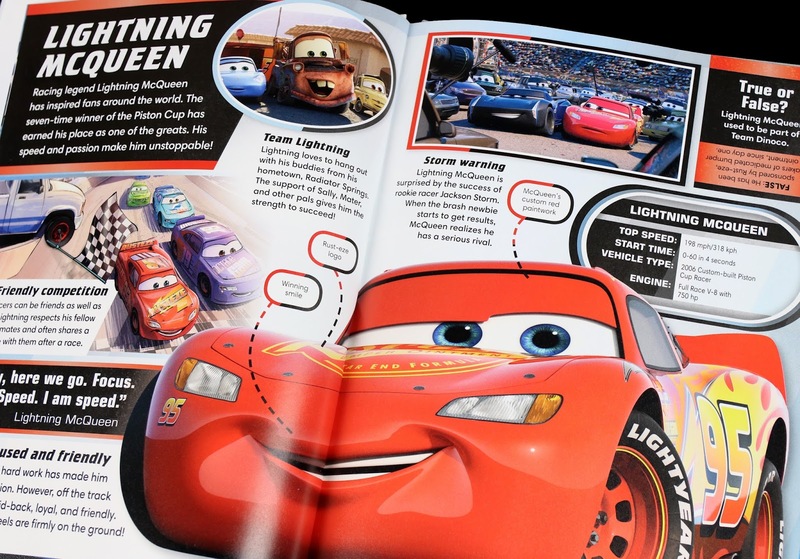 These pages are chock-full of fun tidbits, colorful images (both rendered and illustrated) and story points relating to whatever the film it may be—in this case Cars 3. You'll find lots of character profiles (i.e. traits, thoughts, backstory), diagrams, trivia ("Did you know?" facts and "True or False"), key locations, quotes, stats and much more. 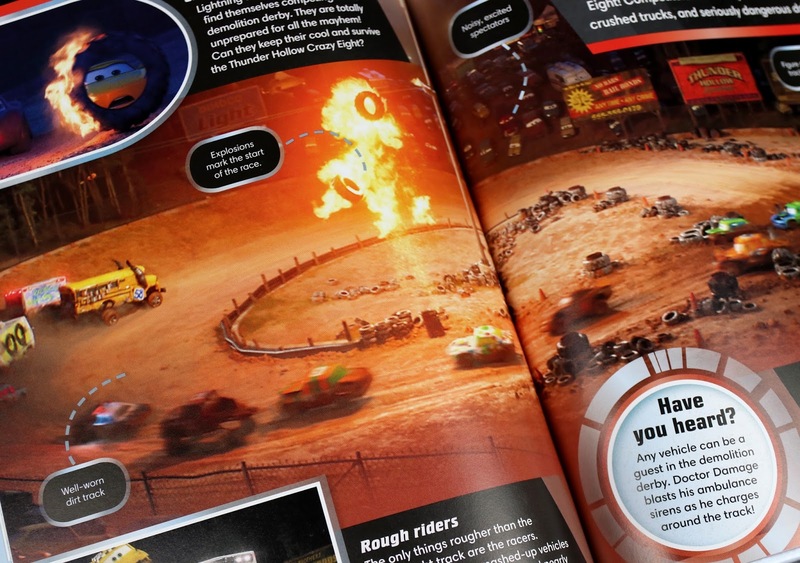 This one even has a fun little quiz in the back titled "What Sort of Racer Are You?" 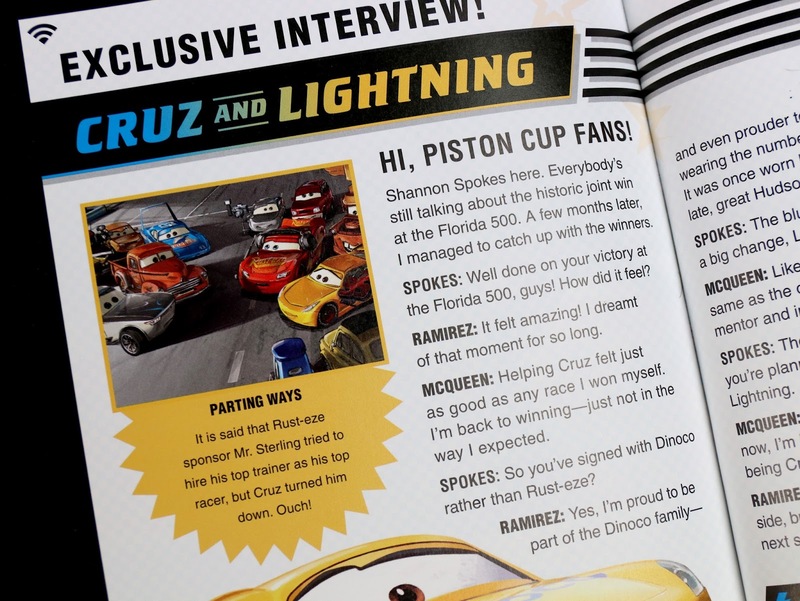 and an "Exclusive Interview" with Cruz Ramirez and Lightning McQueen. So you get it...stuff like that! 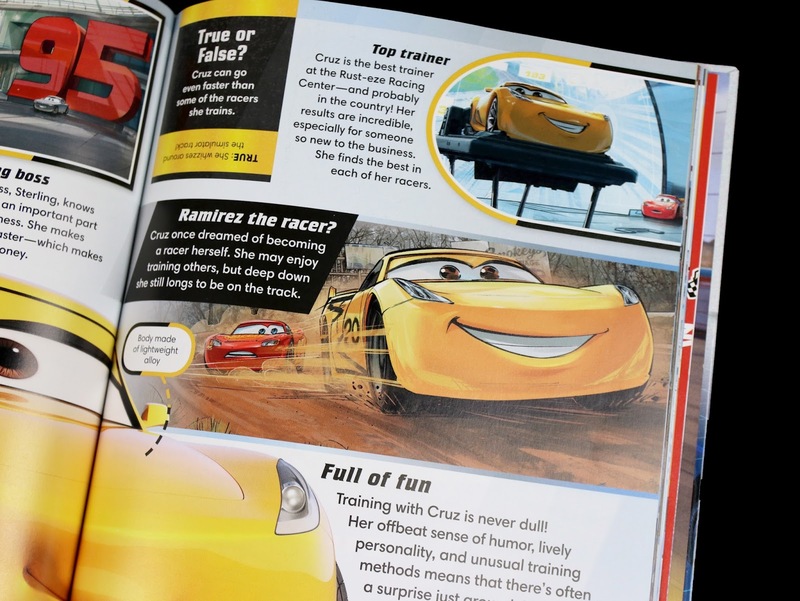 The content is mainly geared towards young kids, but it's ultimately info any fan of any age can enjoy reading. And check it out! 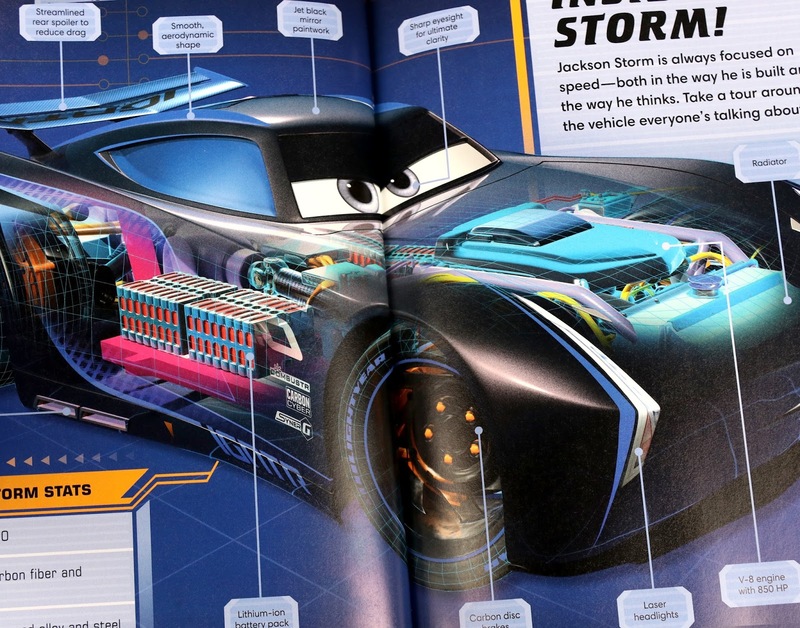 For the first time, you can take a look inside Lightning McQueen and Jackson Storm. Ever wonder what it's like under their hoods? Well now you know (and this proves that ridiculous theory wrong about the cars being organic creatures with biological innards protected by a car-like exoskeleton. Yes folks, that's really a theory out there). 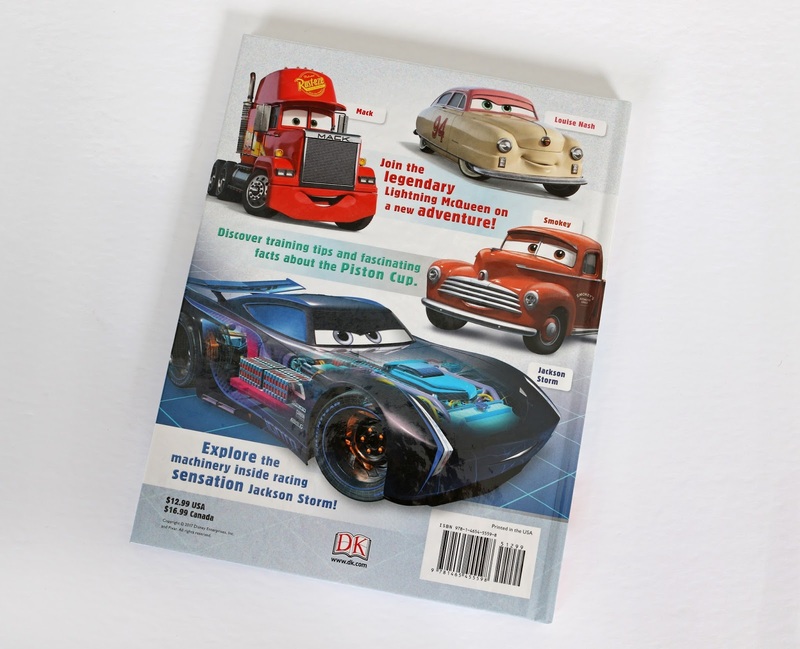 Cars 3: The Essential Guide is written by Steve Bynghall, is 61 pages and retails for $12.99. 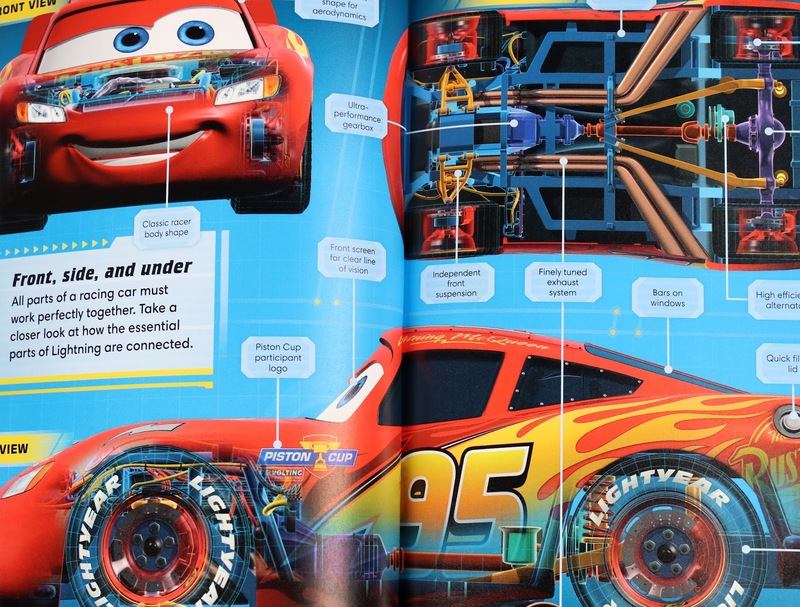 Check out my "Books" label to the right of this page to explore my growing collection of Pixar books, including the many other Essential Guides that I own. Note: You can find an Essential Guide book for every Pixar film except for A Bug's Life. 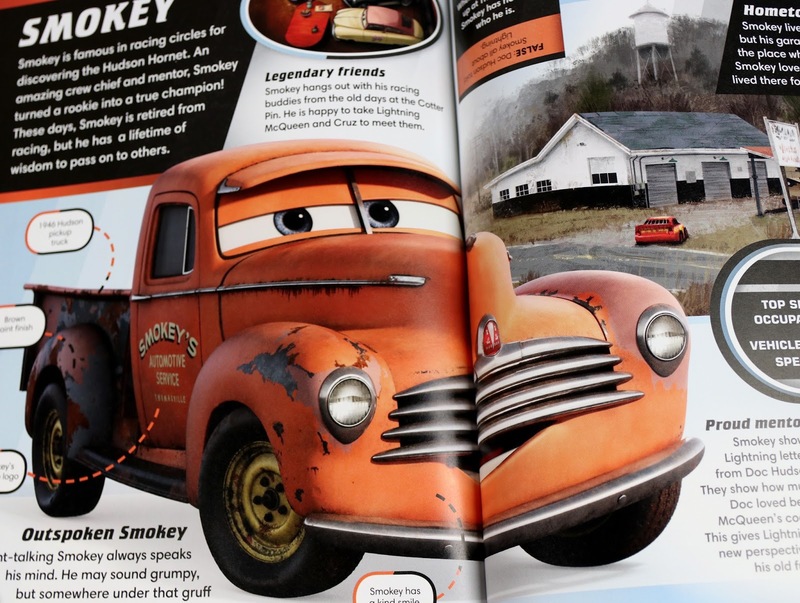 If you're a fan of Cars 3, I definitely recommend picking this up. You can currently find it easily in stores (like Barnes & Noble) or on Amazon using the direct link below. 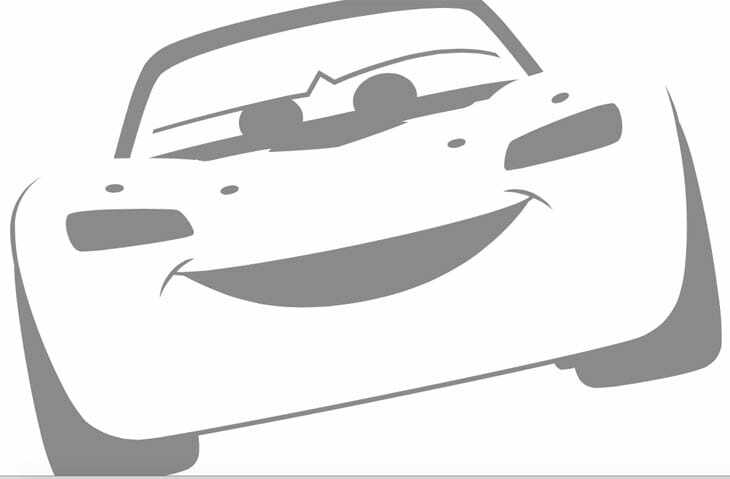 Hey Disney·Pixar Cars fans! 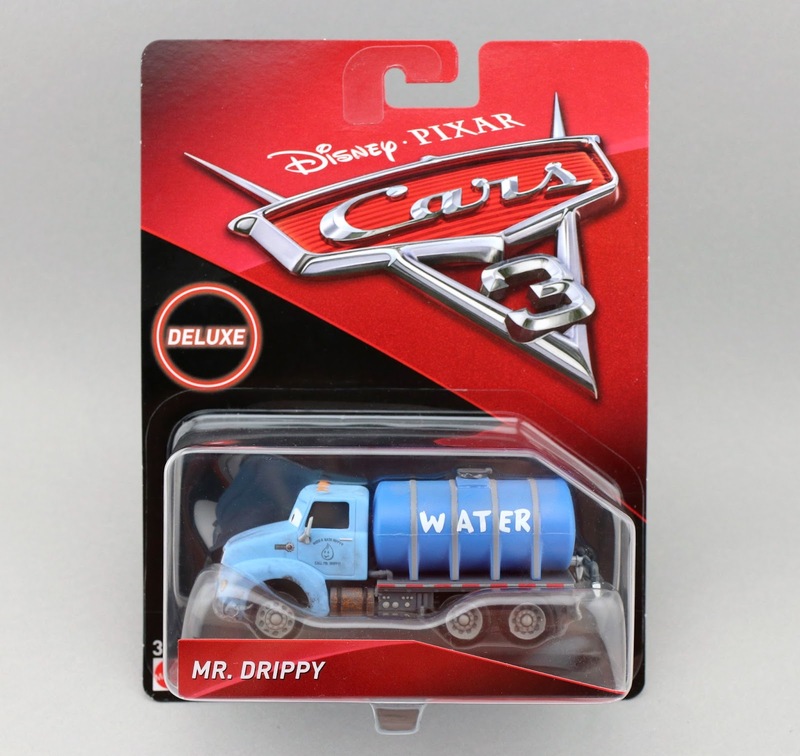 I'm back today with another Mattel Cars 3 1:55 scale diecast review (sorry with the lack of post yesterday—I just ran out of hours) and today I'm taking a look at the fantastic Mr. Drippy! 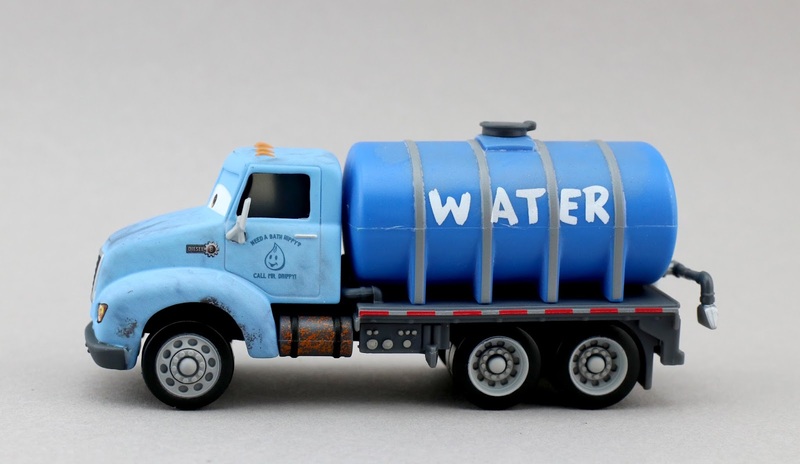 Mr. Drippy appears in the Crazy 8 Demolition Derby scene as Thunder Hollow Speedway's official water truck (he's not a contender, just a worker). His sole purpose there seems to be making sure the track stays nice and muddy for a more wet, wild and CRAZY time! 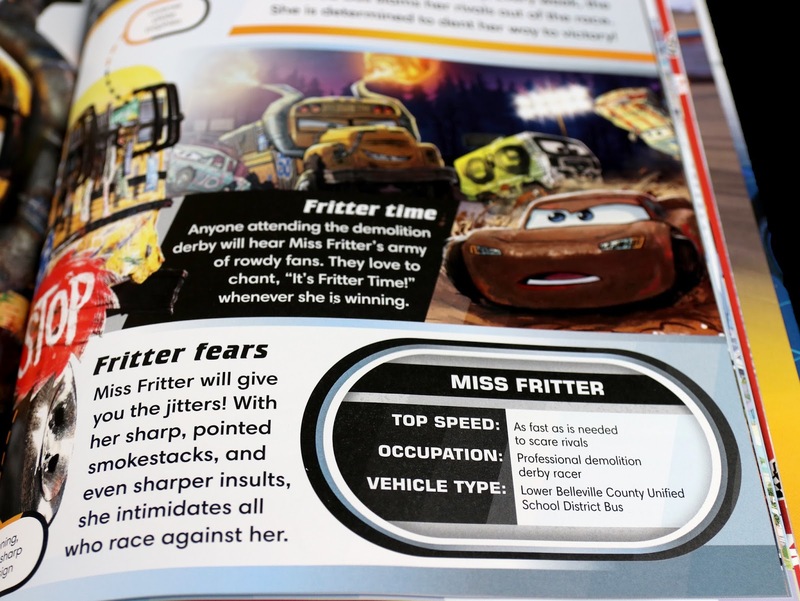 He also seems to be a big fan of the demolition derby itself—especially Miss Fritter (who he may have a little crush on). As soon as I get the Blu-Ray, I'll add a screen shot above! This is yet another great addition to Mattel's Cars 3 diecast lineup. The detail is amazing! They could have added a bit more "mud" (since mud is his job after all), but as far as just the character himself, he's really well done. As usual with these bigger diecast cars, only the front cab is actually metal. The rest of him (water tank and all) is plastic. Mattel even included his hilarious slogan on the side door: "Need a bath hippy? Call Mr. Drippy!" This reminds me of the first Cars when Sarge tells Fillmore to "take a bath hippy." Could this be a subtle reference to that moment? This diecast was almost impossible for me to find, but then I finally stumbled upon it a few weeks ago at Kohl's of all places! I've yet to find it at any Walmart, Target or Toys R Us in my area. Either way though, I'm just glad I was able to pick it up! 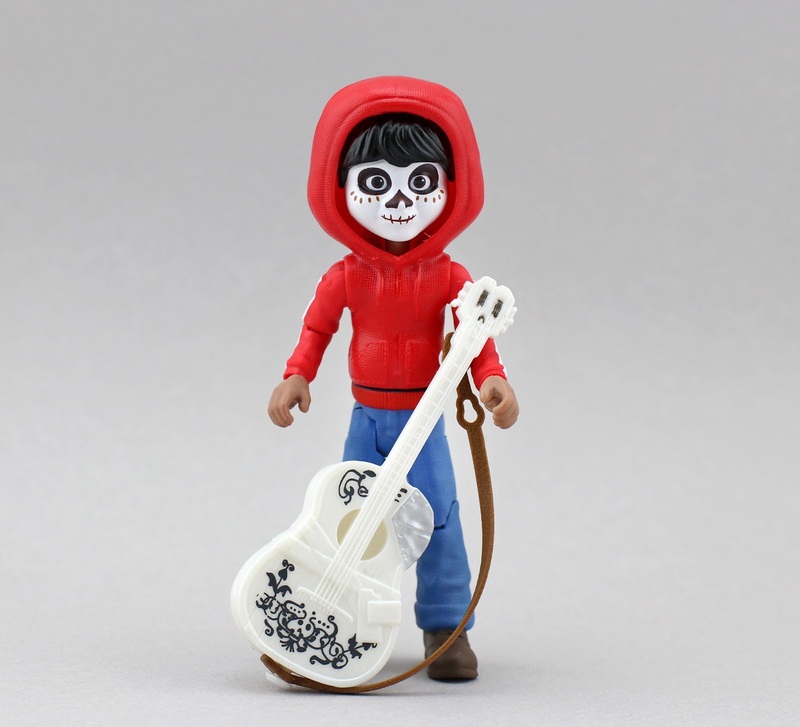 If you're having trouble finding this character in stores, you can always visit THIS LINK to current eBay listings or check Amazon using the direct link below. Best of luck out there and happy hunting! 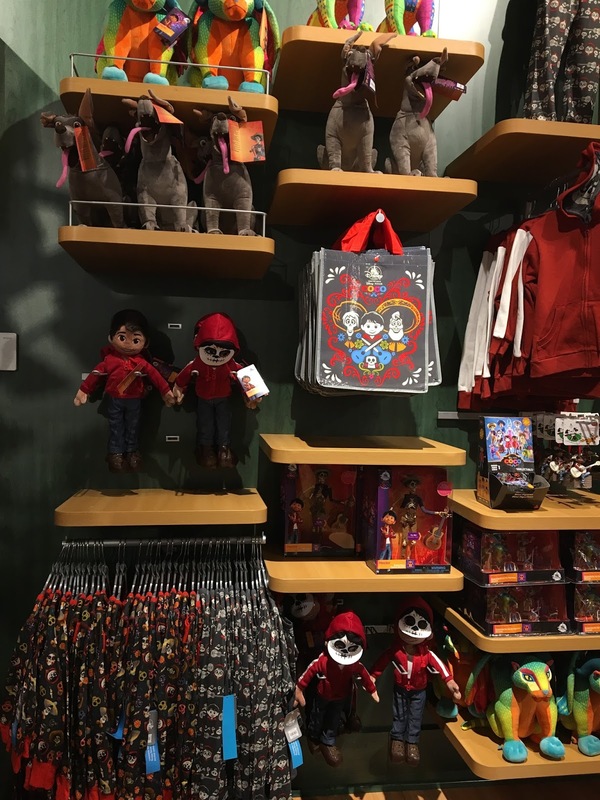 Events: The Disney Store Coco Merchandise Release—IN STORES NOW! 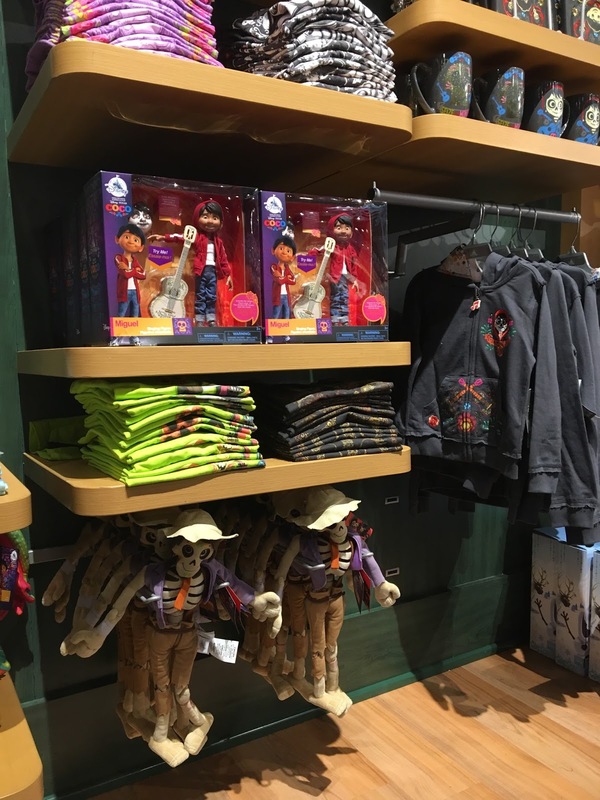 Earlier this month (on October 2nd), Coco merchandise hit the ShopDisney site a full three weeks ahead of the "in-store" street date (see my full post on that HERE). 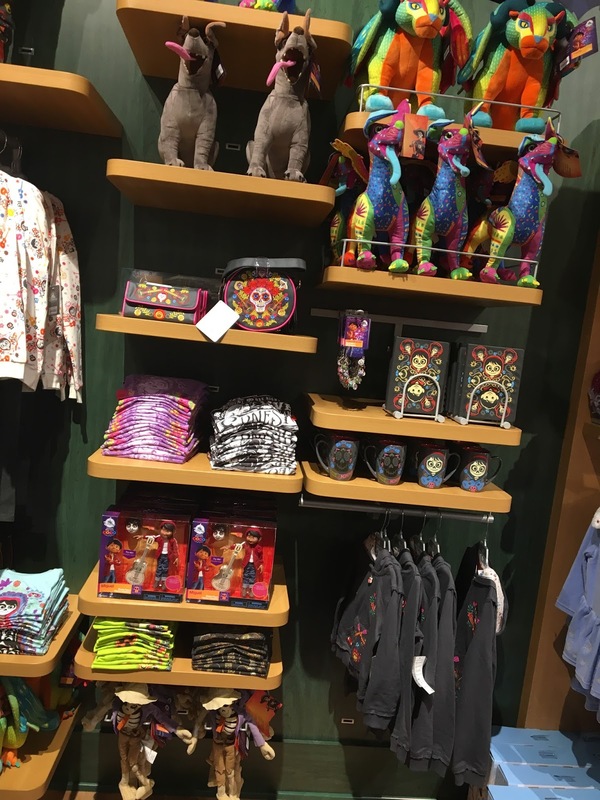 This past Monday (the 23rd), the products finally arrived at brick and mortar as Disney Stores pushed out the new merch onto shelves nationwide—just in time for Halloween and Dia de los Muertos! 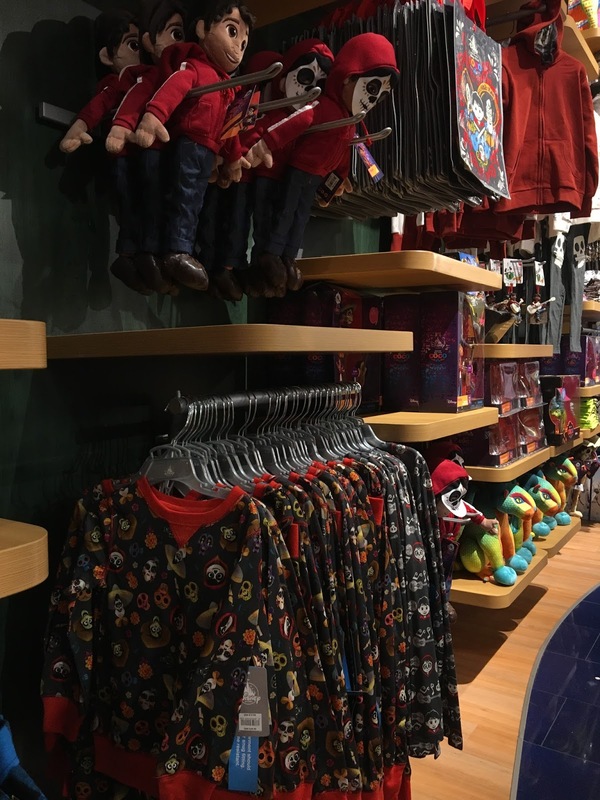 As usual, I like documenting the in-store setup here and giving you a peek at what's available whenever new Pixar merch hits...this time would be no different! So far since I started this blog, I've done this for Monsters University, Inside Out, The Good Dinosaur, Finding Dory and Cars 3. The tradition continues. 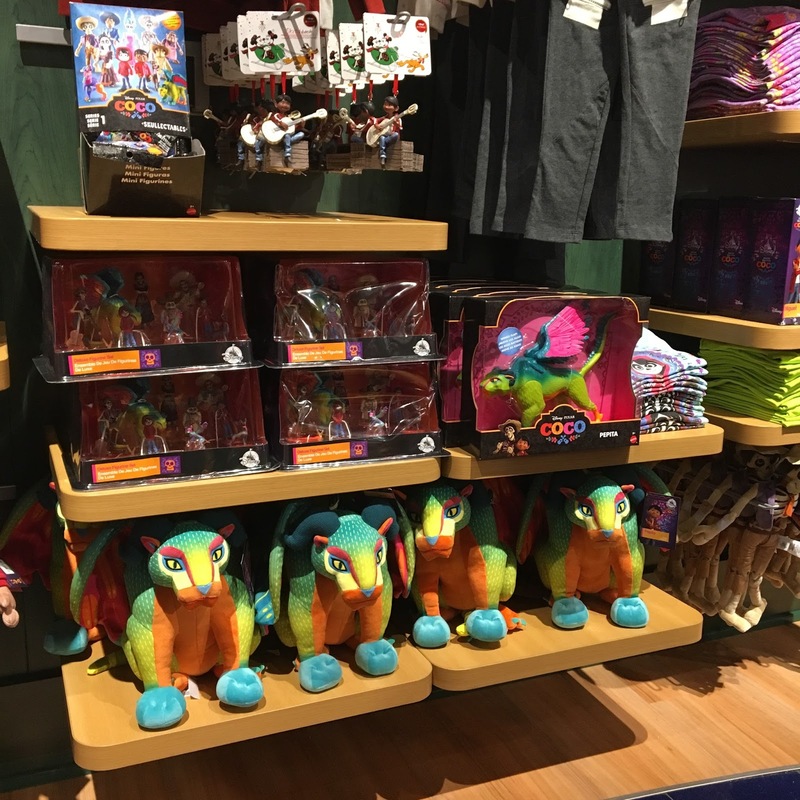 There's something so magical about seeing all the new toys and products set up at the Disney Store. I always like to preserve what it looks like there before the stuff starts flying off the shelf, going to clearance and ultimately being gone for good. It's a bit of history! Maybe you're coming across this post years from now looking to take a trip down memory lane. Who knows? Everything you see here is also available online. 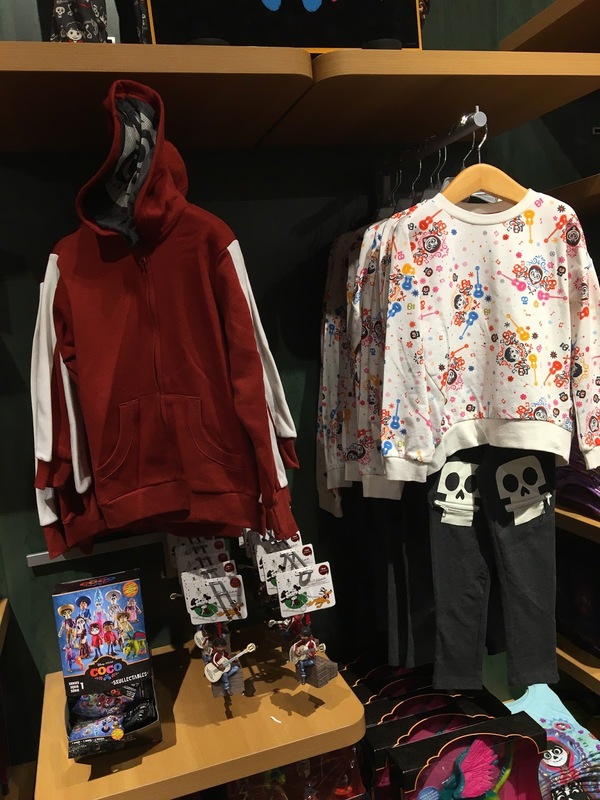 It's nothing new if you've seen what's on ShopDisney already. 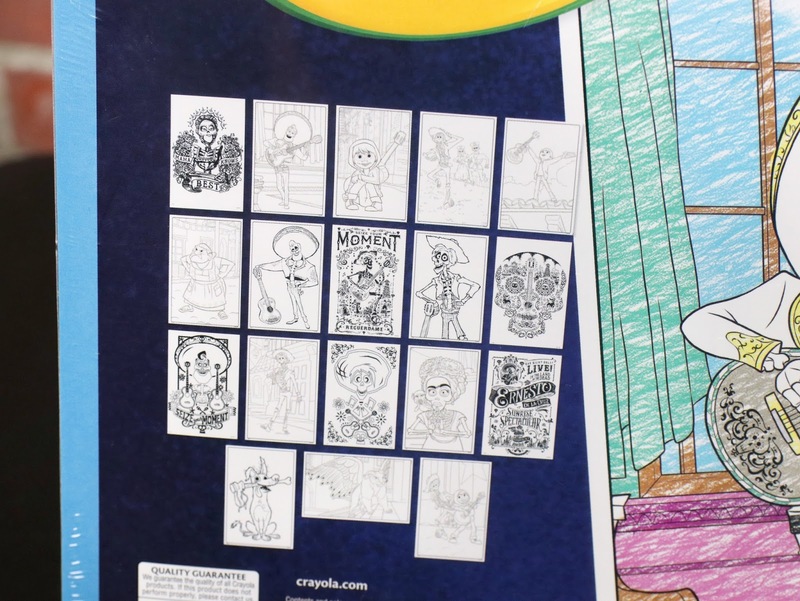 In fact, the website has even more than what you see above and below (customizable tees, puzzles, craft kits, pins, etc.). Check it out! Full, in-depth reviews on much of what you see here will be posted right here in the coming weeks. 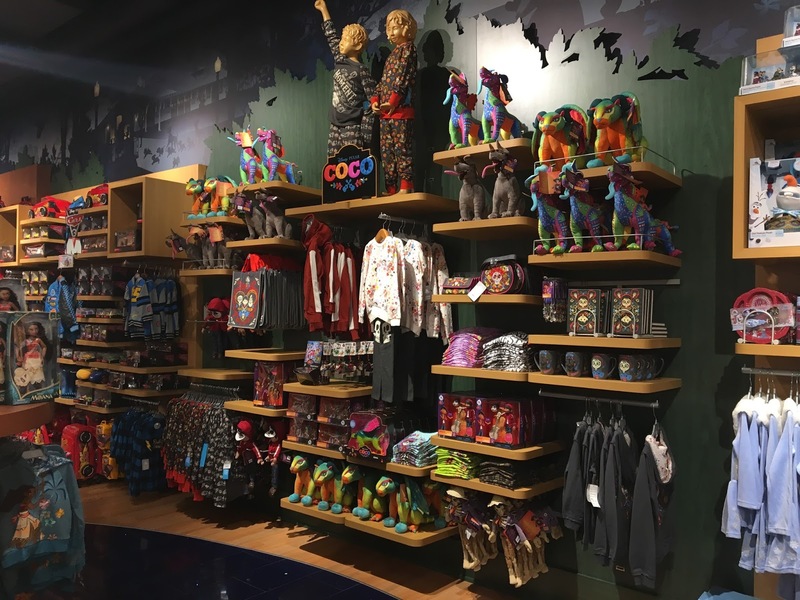 Have you been to the Disney Store to view/buy Coco merchandise yet? What have you picked up or plan to? Let me know your standouts and overall thoughts in the comments below! 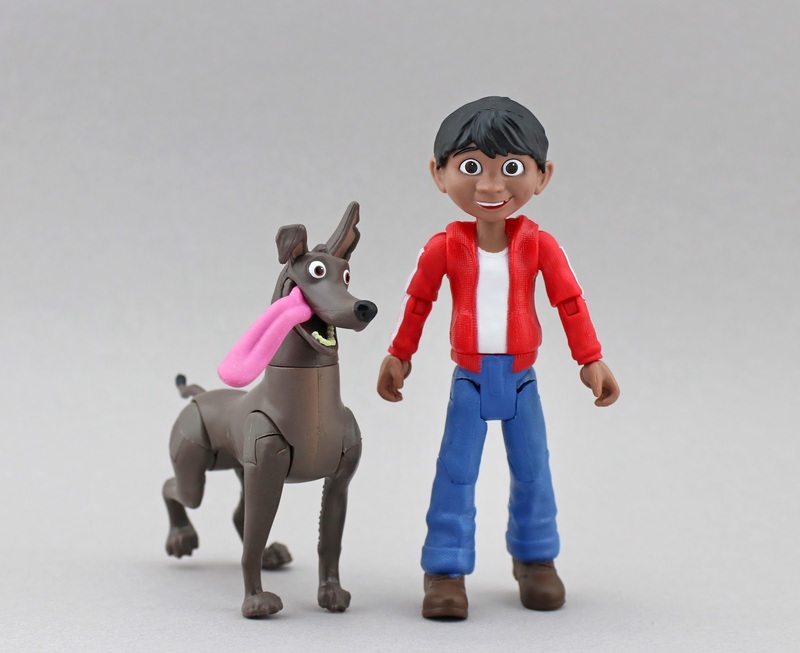 Coco 3-in-1 Motion Figures by Mattel— VIDEO UPDATE! 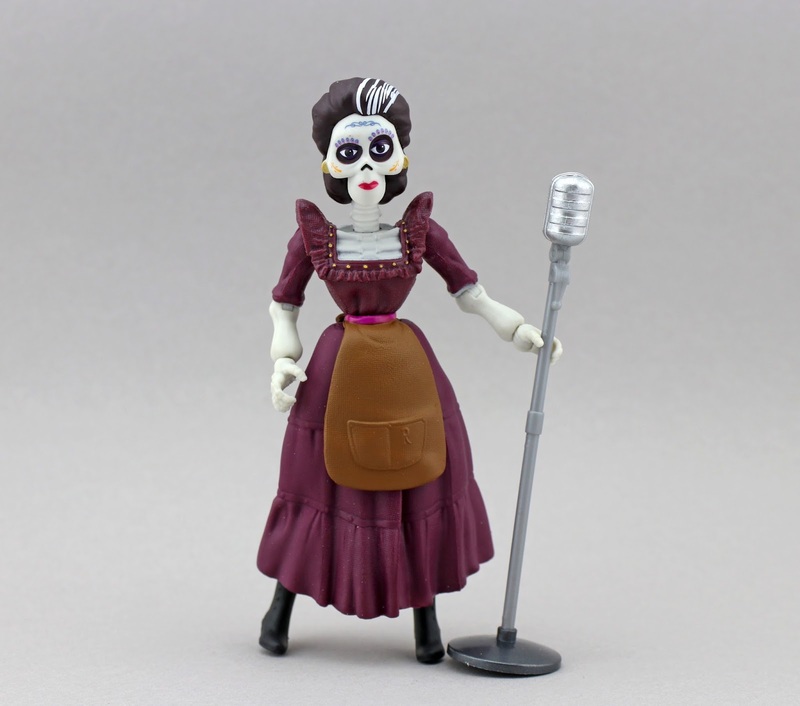 Today's blog post is my promised video update to last week's Coco 3-in-1 motion figure write-up! Check out in the embedded video above and be sure to check out my original post HERE for additional thoughts, detailed photos and links to buy. If you like my video and want more of that kind of content, be sure to give me a big thumbs up and subscribe to my channel! More videos to come. 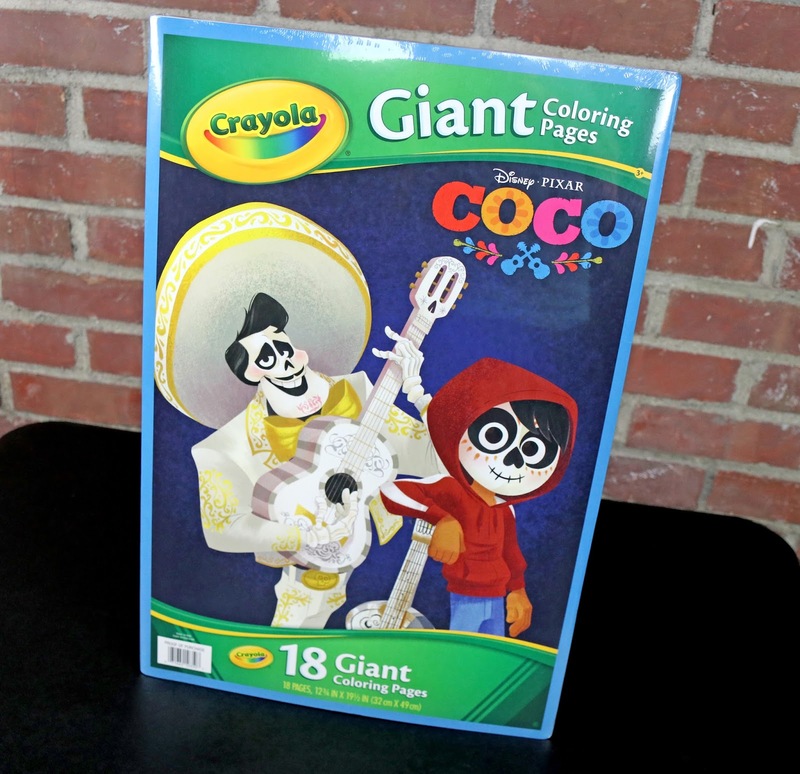 With less than a month until the US theatrical release of Coco, let's get back to reviewing some of the brand new merch out there, shall we? Today I'm taking a look at this FANTASTIC (big emphasis there) six inch scale action figure collection by Mattel. These figures are now available at Toys R Us (I'm sure they'll hit other stores soon) and retail $9.99 each—a steeper price point, but well deserved. 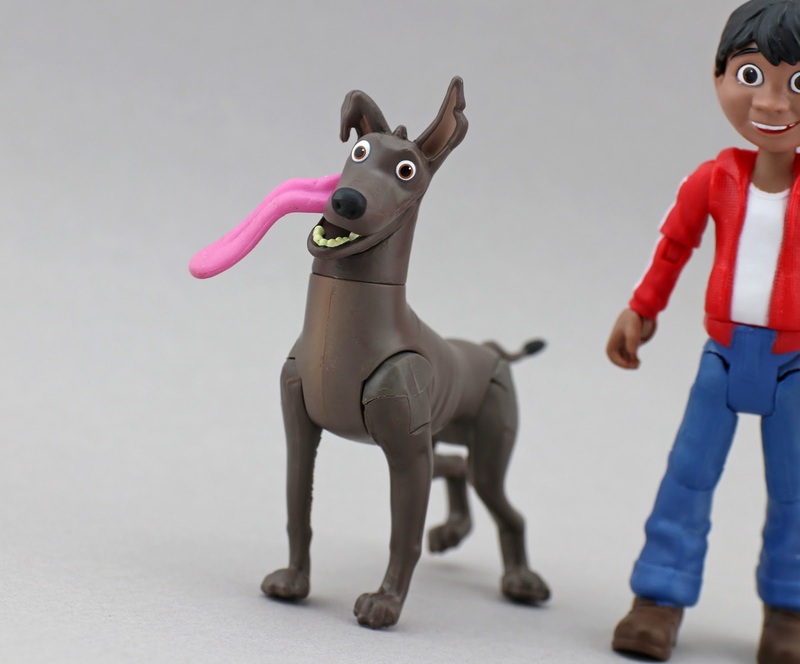 These figures are some of the best I've seen in years (Pixar related or otherwise). 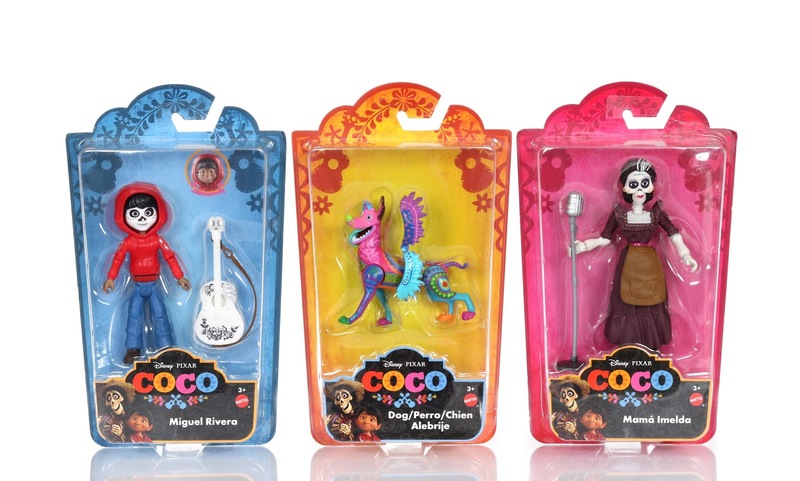 Currently there are six characters (or seven if you factor in that one is a 2-pack) to collect in this range: Dante & Miguel Rivera, Hector, Ernesto De La Cruz, Mama Imelda, Dante as Alebrije and Miguel Rivera (with dual face). 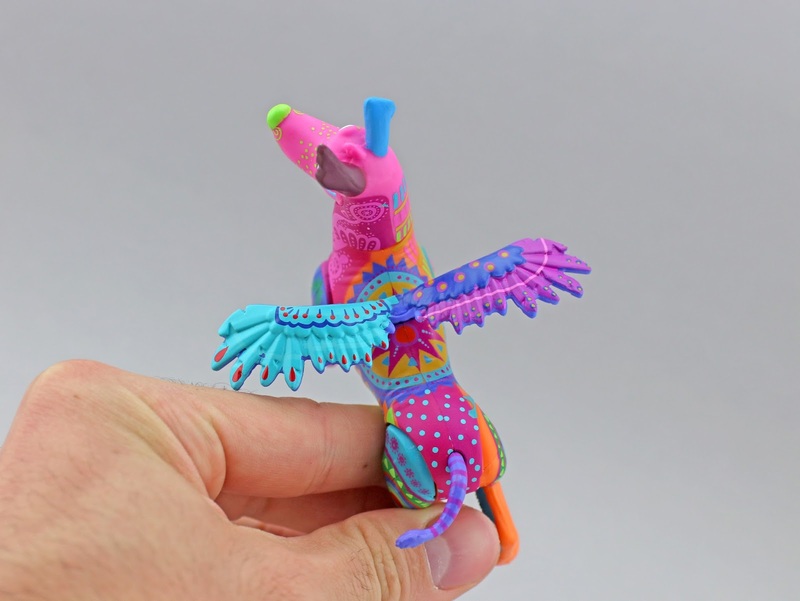 There is also a Pepita creature scaled to this collection as well, which I will be reviewing here shortly. 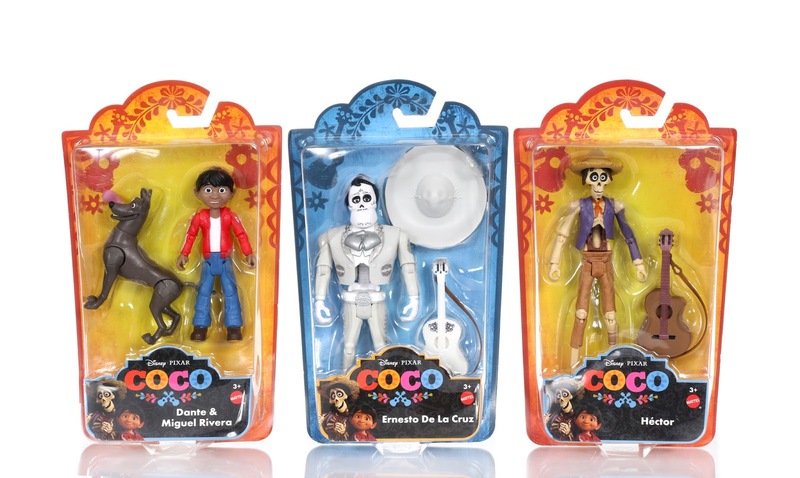 I've mentioned this in a previous review, but I have to gush about the Mattel Coco toy packaging again. I just love the overall look and vibrant colors of it all! 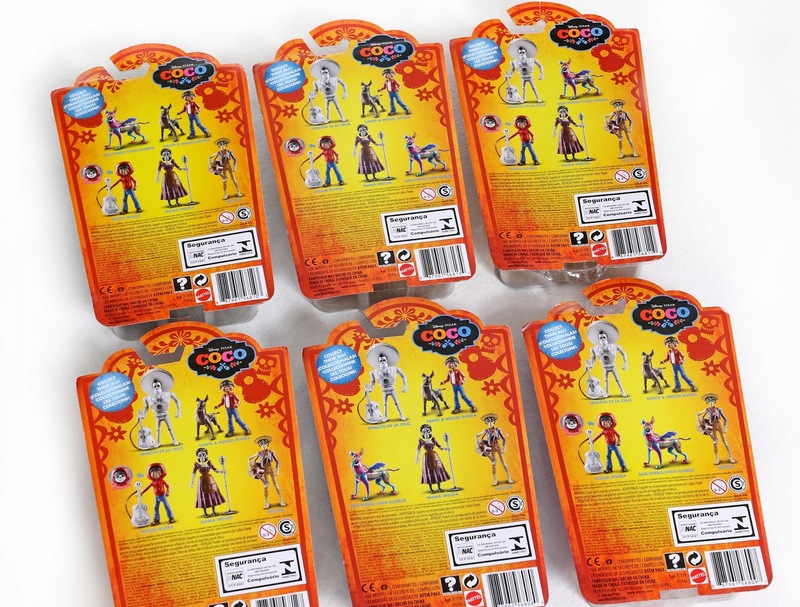 The figures themselves are what you came here for though, so let's go ahead and take a look at these guys out of that packaging. 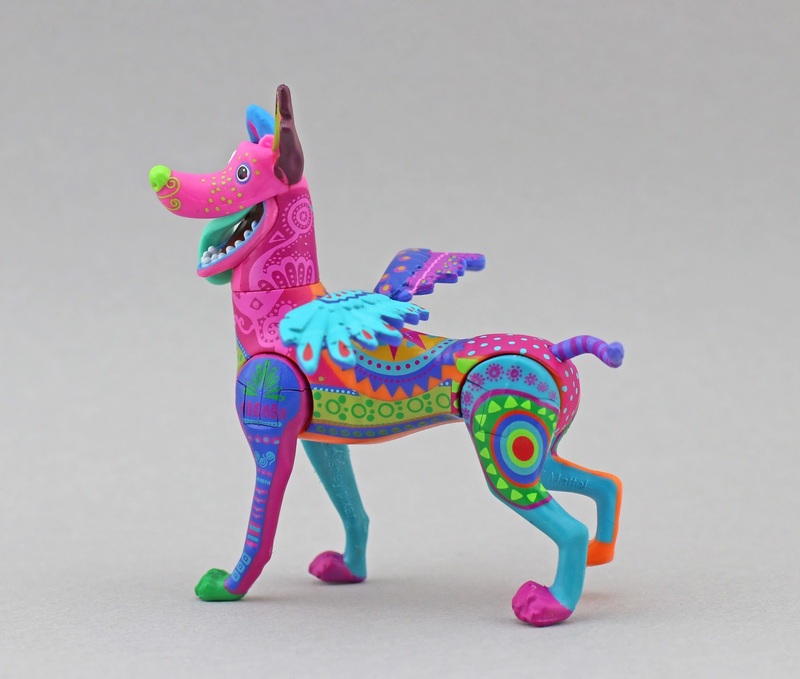 The detail, sculpting and paint on each one of these is absolutely suburb. The likeness of each character is as perfect as it gets in toy form, not to mention they stand up great on their own (no need for precarious balancing) and have a very surprising amount of articulation. Each comes with excellent accessories as well (including removable hats). Just wow! This Dante figure (like the push puppet figure) has a wiggly/rubbery tongue. Such a great detail. 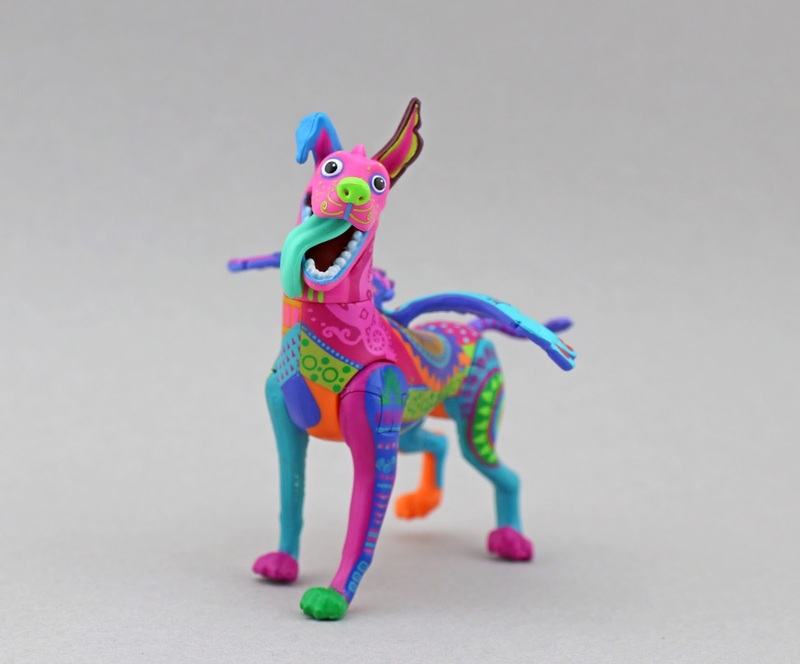 Isn't the detail on this Dante Alebrije figure stunning? 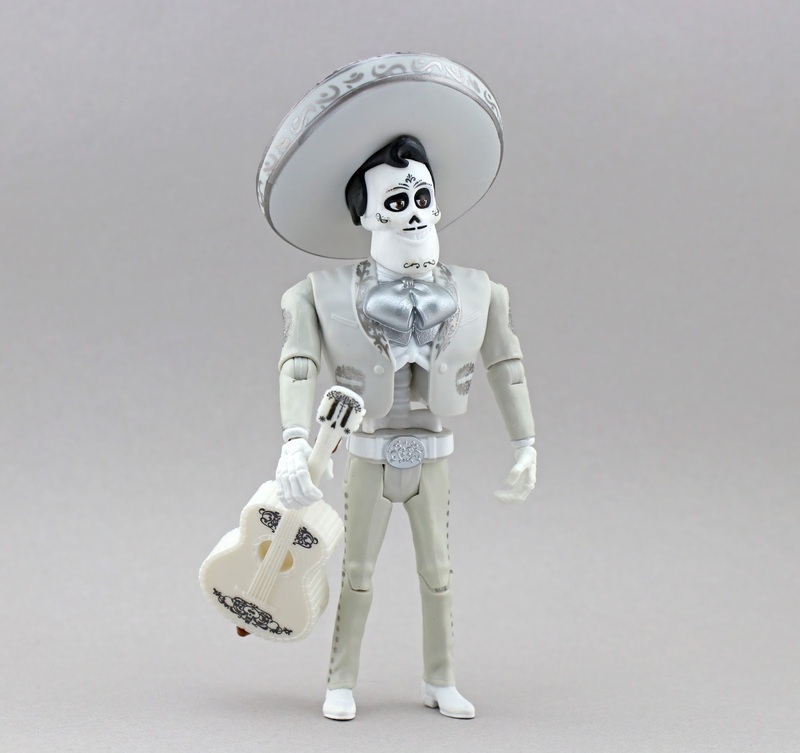 This version of Miguel has a rotating head! One side is his normal face and the other is his skeleton paint job. 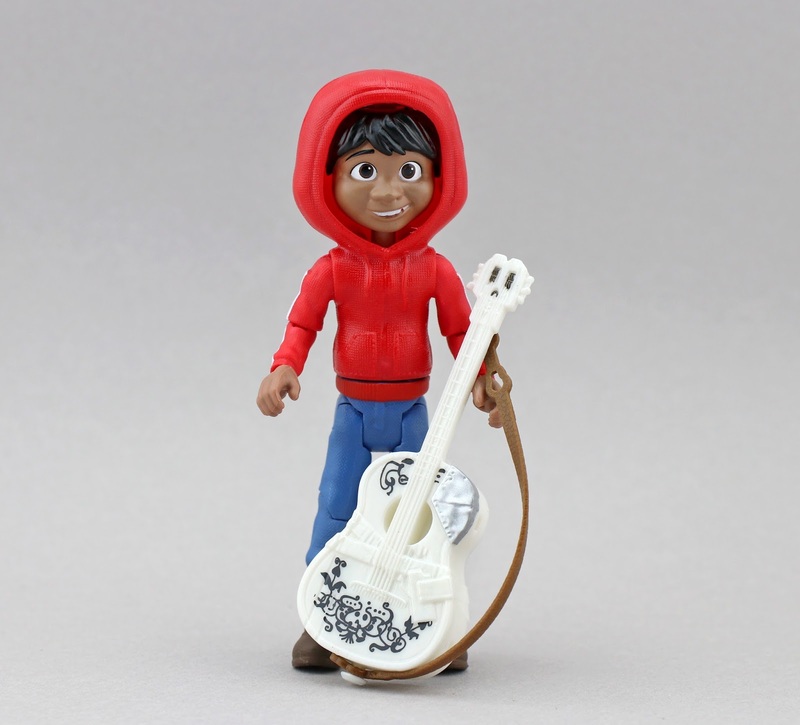 I also like how this figure comes with Miguel's very own custom version of Ernesto's guitar (which he crafts in the film), with even the metal patch detail in the corner there. 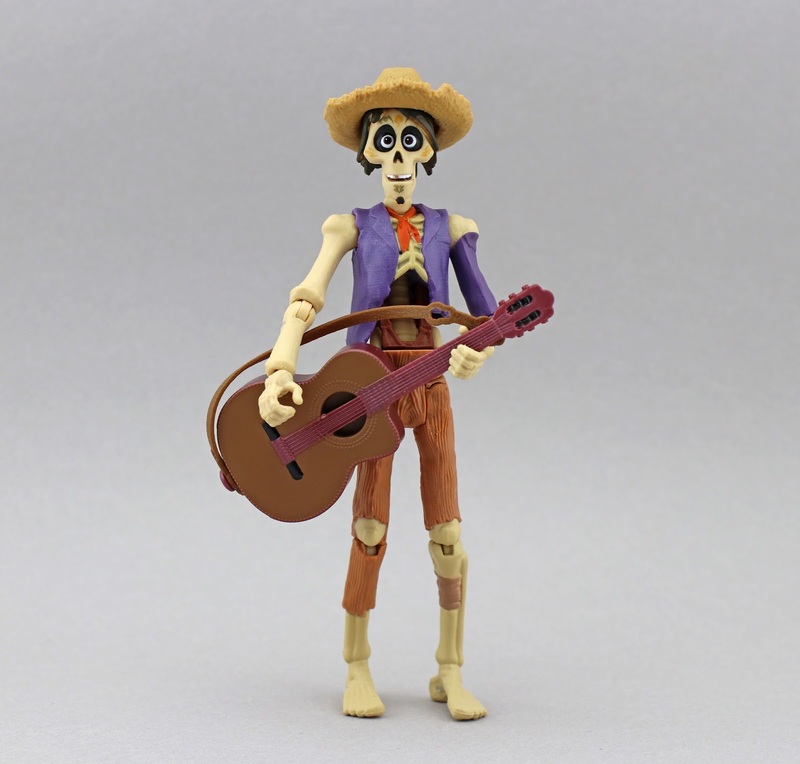 They could have easily just repackaged Ernesto's guitar here, but my hat goes off to Mattel for creating an entirely different sculpt and including his "handmade" paint job—it's so much more authentic to the film. There you go. If you can't tell, I'm extremely impressed with this collection. 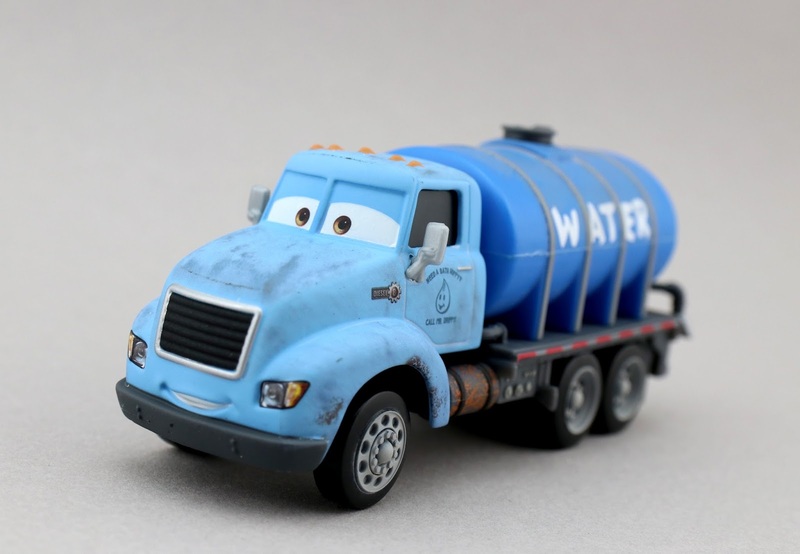 They're fun toys for kids, without a doubt...but they also make for excellent, detailed display pieces for us grown-up Pixar fans. If you're excited for Coco (or maybe your reading this after the film's release and you've already seen and loved it), I can't recommend this line enough. 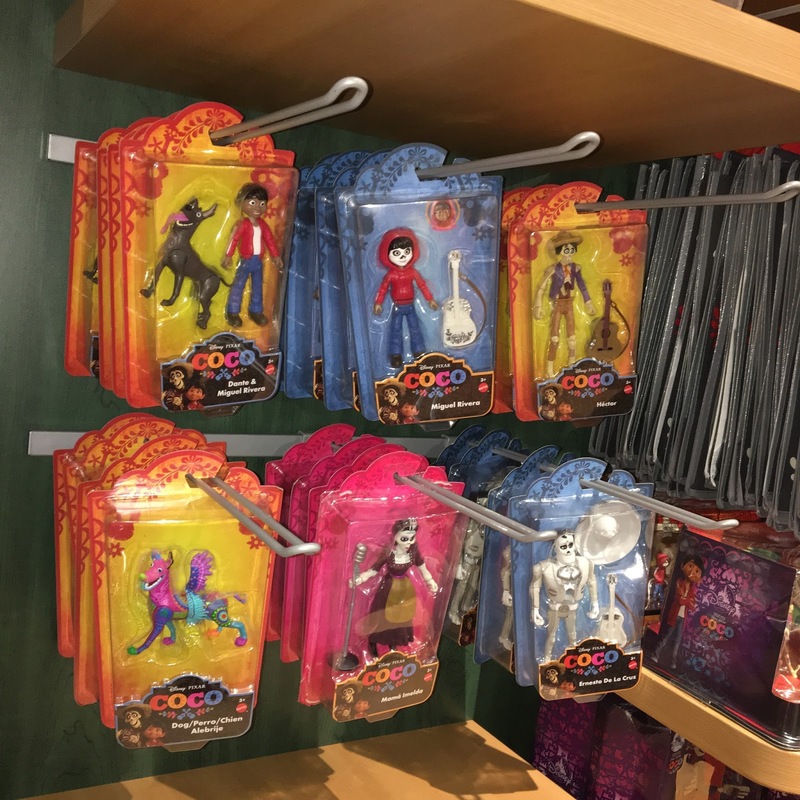 Check your local Toys R Us for availability or visit their website HERE to purchase. What are your thoughts? Who's your favorite in this line? Let me know in the comments below or contact me through social media!